Get in. Get out. Get on with life. Welcome to the Tyler Cardiac & Endovascular Center, a minimally invasive interventional suite. We specialize in the performance of outpatient cardiac and peripheral vascular procedures and our experienced staff is dedicated to providing quality care to you, our patient. We invite you to explore our website to learn more about the medical care we offer. 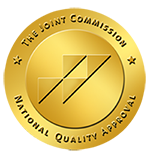 Tyler Cardiac & Endovascular Center has met all licensing standards for quality care and safety and is also accredited by the Joint Commission. Tyler Cardiac and Endovascular Center is a minimally invasive interventional suite in Tyler Texas. Our professional, experienced staff welcomes you with a dedication to providing quality care. Tyler Cardiac and Endovascular Center specializes in the performance of outpatient, minimally invasive cardiac and peripheral vascular procedures. We are located in Tyler and serve the entire East Texas area providing premier cardiovascular care. Tyler Cardiac & Endovascular Center offers a number of online services for the convenience of our patients. Browse this section for more information on our online services. Bienvenido al Tyler Cardiac & Endovascular Center, un laboratorio de cateterización cardíaca para pacientes ambulatorios. Nuestra misión es brindar atención de calidad de una manera segura, solidaria y profesional.